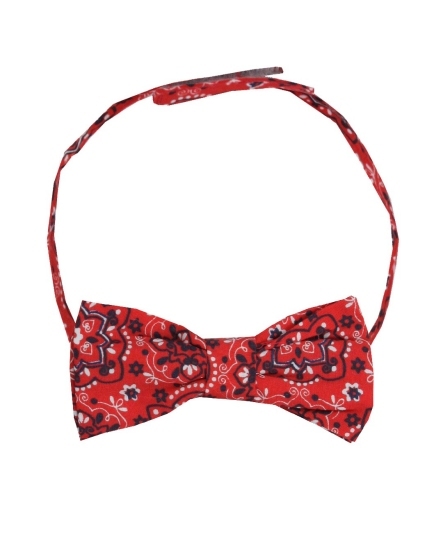 The classic old west cowboy bandana has been wrangled into this fun and fashionable bow tie rendition for toddlers. 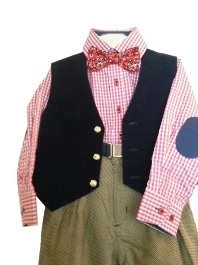 Create a complete look for your lil cowboy dude with other western wear accessories shown in'the western wear collections department. 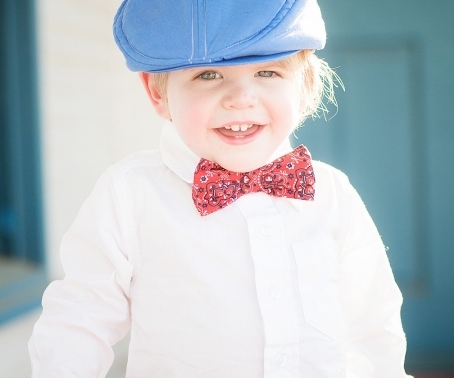 The model is wearing a hat similar to the denim gatby shown below plus a basic white shirt, also shown below.